In Germany, Wolfgang joined the German Shepherd Schutzhund Club, Verein fuer Deutsche Schaeferhund Rems-Wieslauf in 1978. He started working with an old-fashioned dog trainer who taught him to interpret a dog’s behavior, before he would start working with the animal. This meant that he had to understand what situation the dog was in, the temperament of the dog, and how much confidence the dog has, in order to find the correct method to have the dog attain his fullest potential. Stress was always present and Wolfgang was able to teach the dog how to best handle it. Wolfgang soon discovered that he had a natural talent for working with a dog’s emotions. Sensitivity, inner emotions, and confidence all played an important part. At this training facility, all the dogs were worked in defense and very little in play drive. Dogs that took their job too seriously bit Wolfgang. In this way he learned how to ignore the pain, and show the dog no reaction, so that the dog became frustrated, thereby obtaining better results than if he showed his pain and fought back. 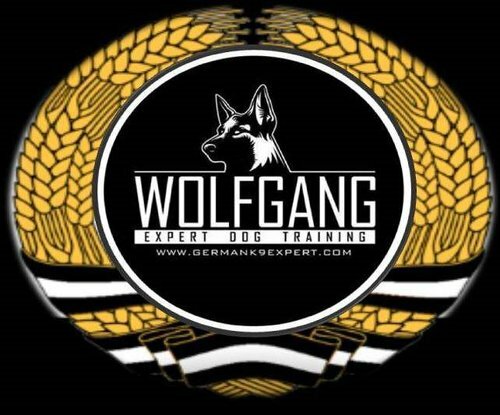 The other dogs that lacked confidence, courage, and aggression were shown pain and fear by Wolfgang, which made the dog stronger and built up his confidence. Soon other local Schutzhund clubs with other breeds of dogs approached Wolfgang to be their agitator, which helped build the dogs in protection. It soon became his specialty. It was in this way that Wolfgang became acquainted with the temperaments of other breeds. It showed him how difficult it was to read the temperament in breeds, other than German Shepherds.